Well, it was probably not toggled in many years and when I went to toggle the power switch (it was extremely difficult to move) something snapped mechanically inside and now it's toast. So the question becomes how to replace this old power switch? The switch is marked 125 volt 6 amp. I believe the bulb is 3 volt. I would be highly appreciative if someone could help me to find a replacement. Please see attached photos. Any SPST toggle will work. The pre-wired unit would have to be spliced, but there are some here with 2 lugs for connecting your wires. 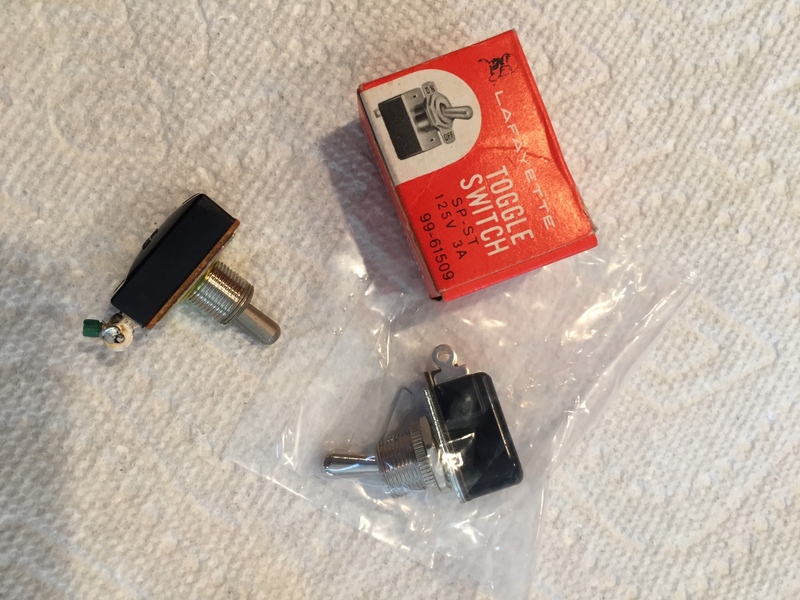 Here's a switch that will keep the vintage look. It looks like NOS and is even from a company that used to sell telescopes. 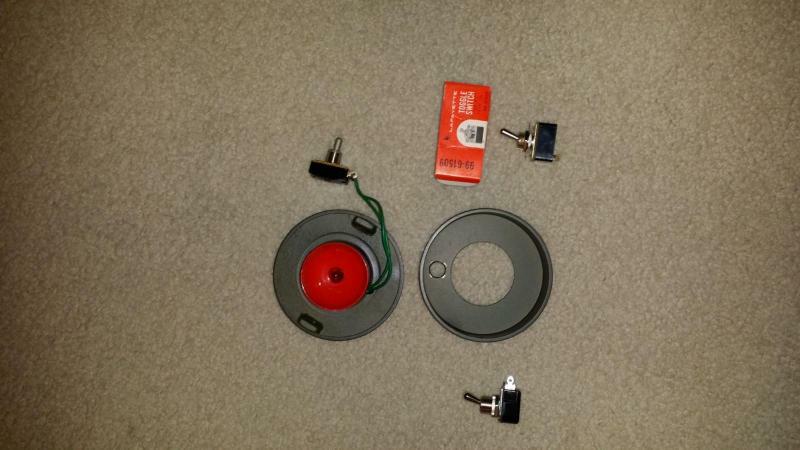 25 mm (L), 15 mm (W), 10mm (H). I have inquired about the switch on Ebay and the person selling said he's out of town and will get back with me end of the week. I'm going to need to know the dimensions of the switch I'm buying since the fit is to tight and critical. Also, I'm going to call Mouser and see if they have something compatible. The one on MPJA does not show dimensions and it's out of stock anyway. That just might do it!!! I will order it and see. Thanks so much! I don't see the power spec though. I just called them to see but they are probably closed for Thanksgiving. If the person you talk to can't tell you the specs, if you click on the picture of the switch with the shorter toggle, you can see the specs on the top of the switch. 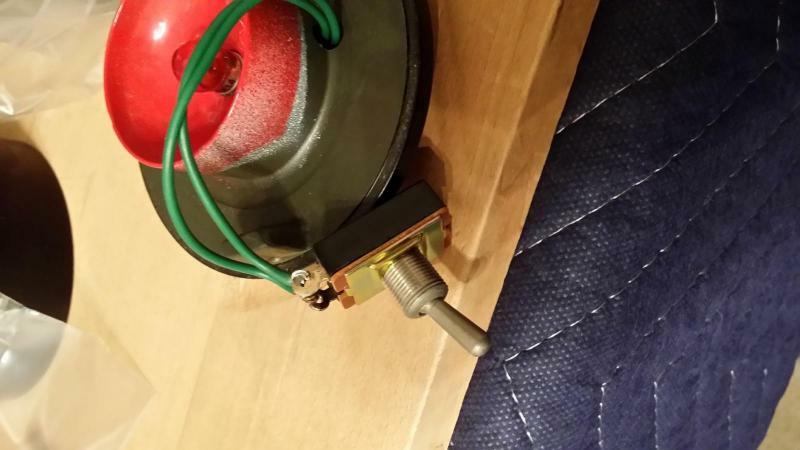 6A 125VAC, 3A 250VAC. 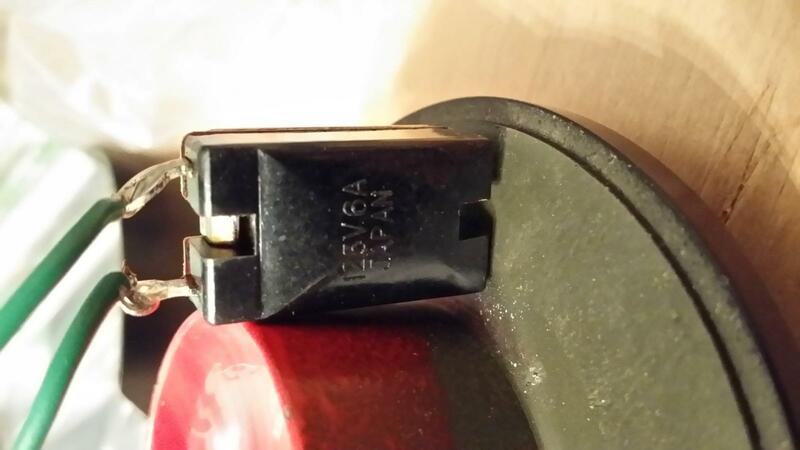 That matches what I found looking at other amplifier power switches. 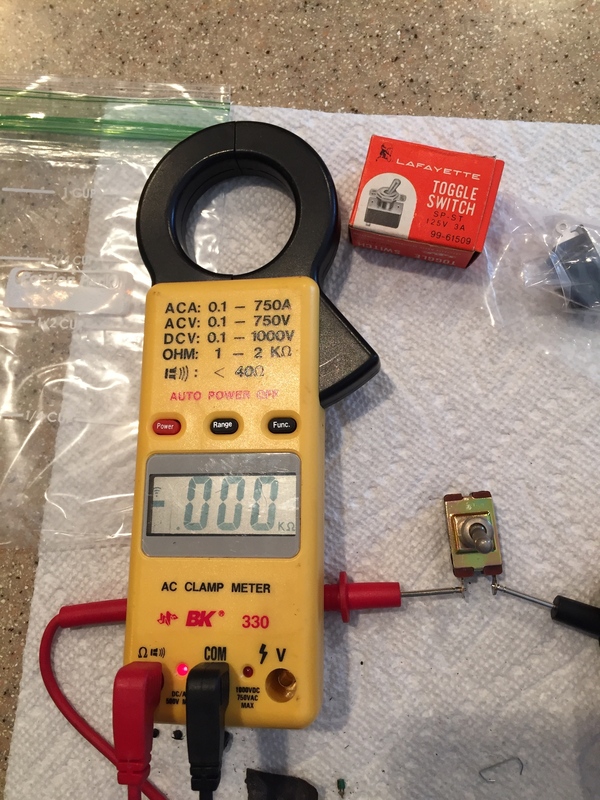 Voltage and power handling don't much matter in this application. Don't sweat that! Thanks guys. I'm not electrical as you can see so I don't take any chances :-) Come to think of it, I'm not mechanical either. Ha! I went ahead and ordered it. It only comes with one round nut though and that would mean I can't use the existing on/off plate (unless I can find another nut). Actually the existing on/off plate may not fit at all. Also, not sure what is found below the nut? It seems to be a hex shaped nut but it's hollow. I'll report back after I get it. Sure hope everyone had a blessed Thanksgiving. CloudyNights sure makes my life so much more enjoyable! 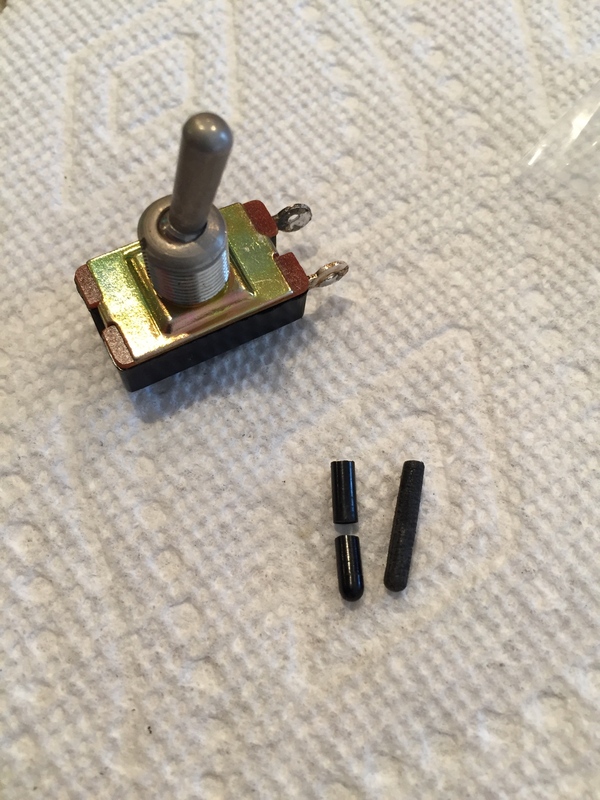 The pictures of the last two switches I sent you show both the round and hex nut. Your old switch and the one you ordered should be the same standard size. I do not believe the switch has to be the same exact dimensions to fit. 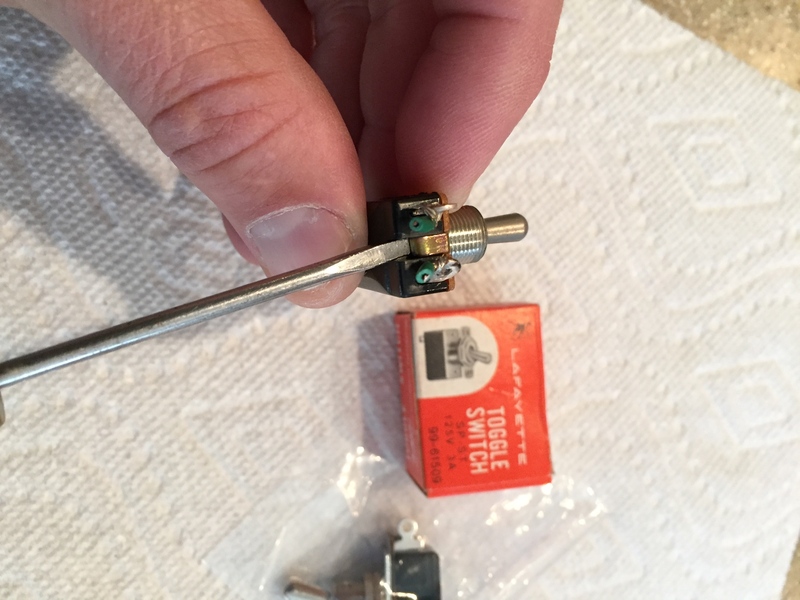 I got a response back from the guy on Ebay stating that his Lafayette switch is the exact dimensions as mine. I ordered it too and we shall see. The clearance for a new switch is tight in the width and length dimensions. Height has some room to spare. Okay, bad news (so far). 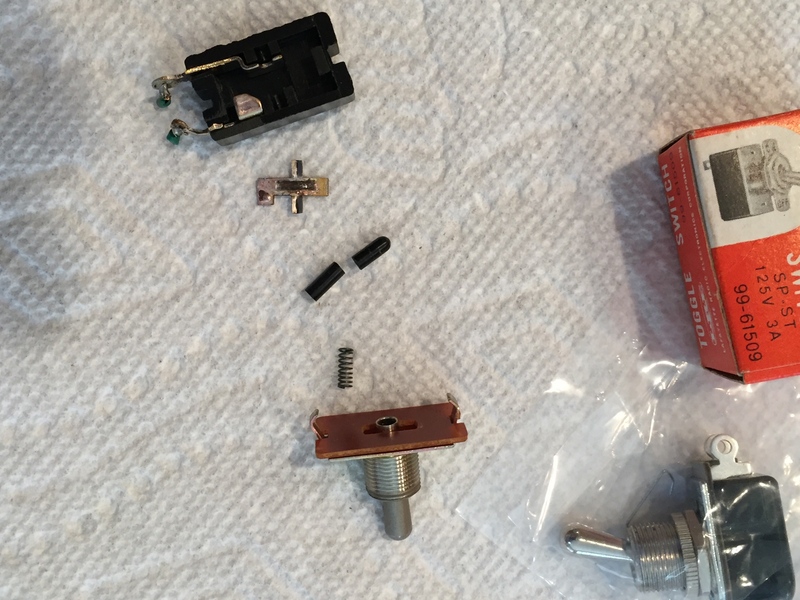 I have received the two switches I ordered and neither fit into the hole! 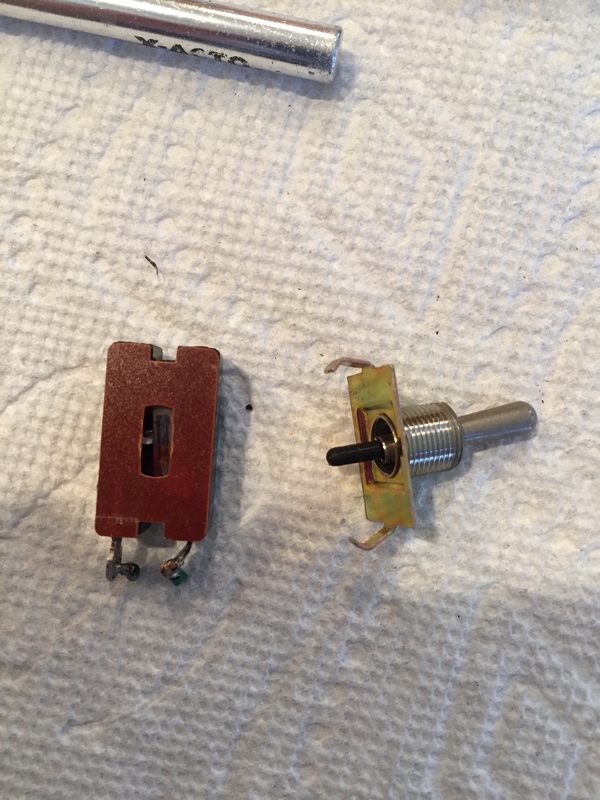 One was the Ebay Lafayette and the other was the one from Amplified Parts (P-H495). The one from Lafayette also has the terminal lugs on the bottom which is bad. Any other ideas? The diameter of the threaded part is about 9-10mm and the hole it needs to go into is 11mm in diameter. The length of the threaded part is 10mm. I sure would like to get this fixed since it's part of my superb, mint model 152C. Hi Gary, why not try to take the old switch apart? Can’t make it any worse, right. It should easily come apart by folding the metals tabs out slightly on each end. At least we can see what’s going on inside. You may find something easily fixable. Or send it to me and I’ll do it (for free) and document it here in your thread and send it back. I love a challenge! I have a lot of old toggle switches and maybe some of the “guts” will interchange. 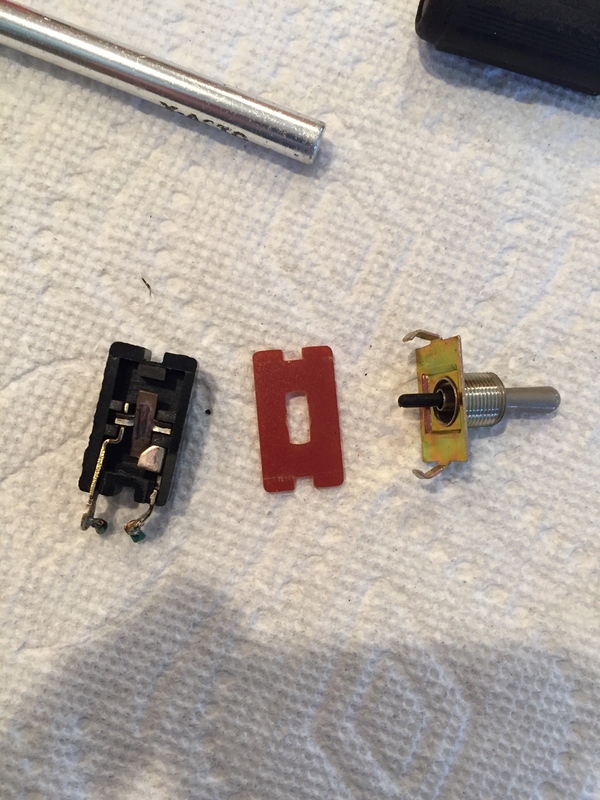 These old switches are very robust and most likely fixable. Just a thought. 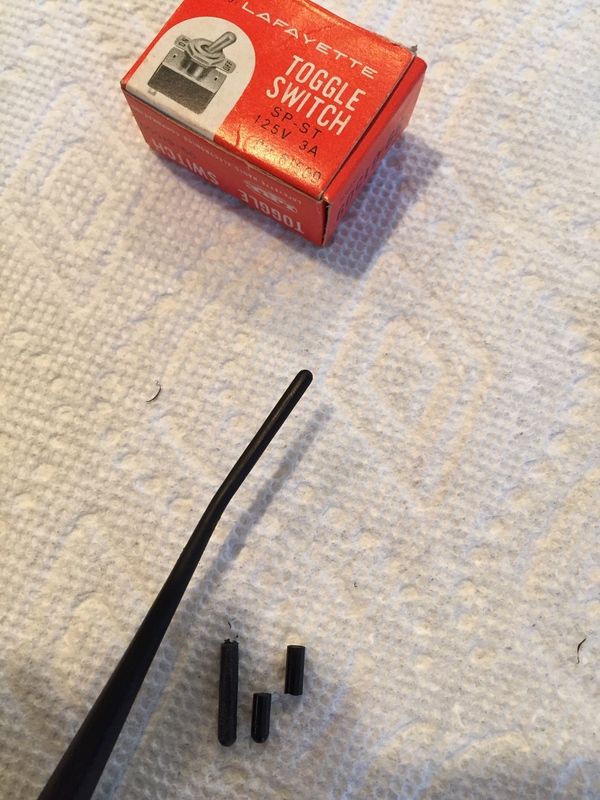 Just a theory but maybe the contacts inside fused/stuck together due to corrosion and when you switched it they didn’t break free and it snapped the plastic toggle inside. Again probably fixable. 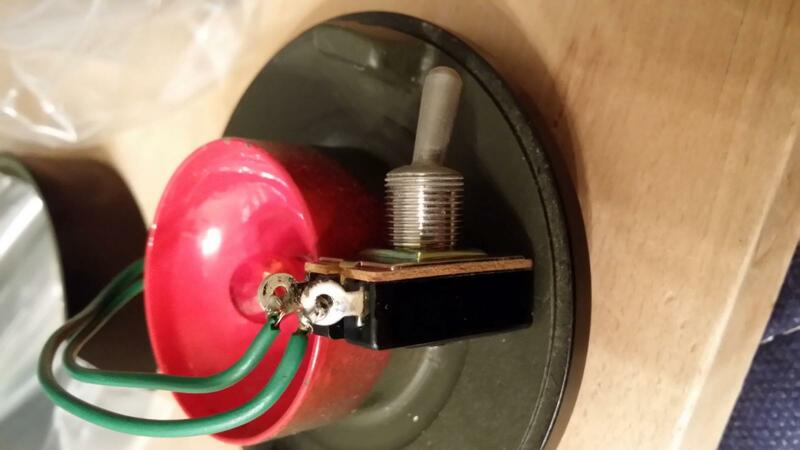 Just a simple low voltage switch. 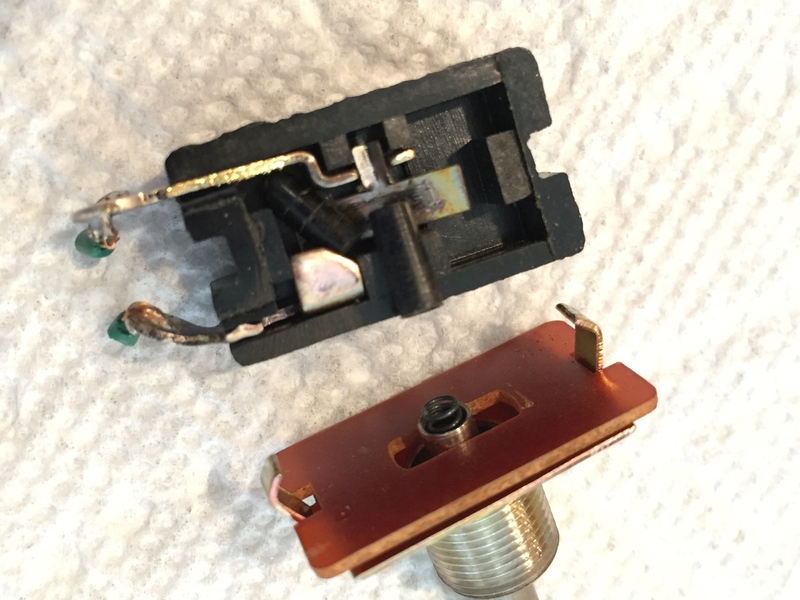 Maybe the guts from one of your other switches could help repair your original. 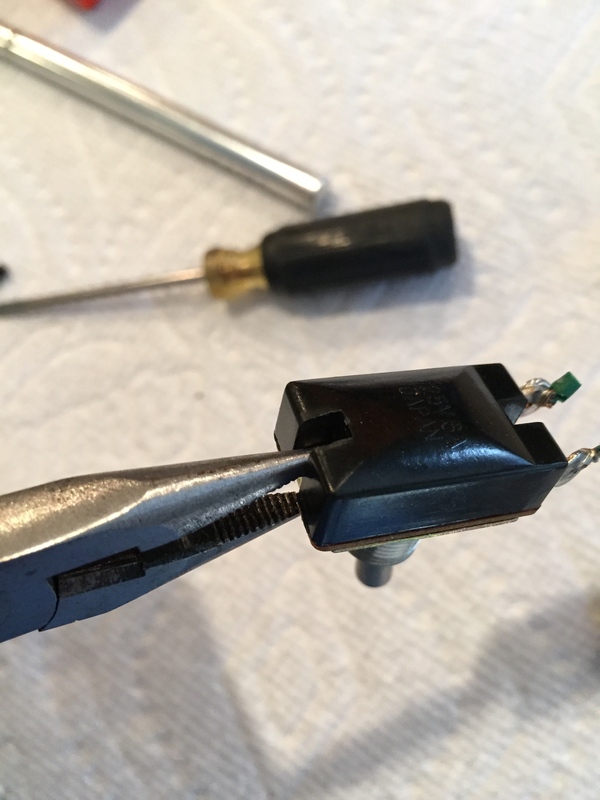 Just be careful when/if you take them apart as there could be small springs/parts inside. Edited by Compressorguy, 04 December 2018 - 05:26 PM. That's a nice offer to repair it for me. Since I'm not mechanical I'm going to accept your offer. If you would just PM me with your address I'll get it out to you ASAP. P.S. I'll send the two new switches along too. Switches arrived today safe and sound. And the pieces, contacts look fine. Found some material of similar size and hardness. Great to to get it fixed and a quick, fun project. I’ll get it packed and shipped out tomorrow!! Glad to pay it forward. Wow, that sure is a nice Christmas present!!! Thanks so much for this kind gesture and the great documentation on what was done. 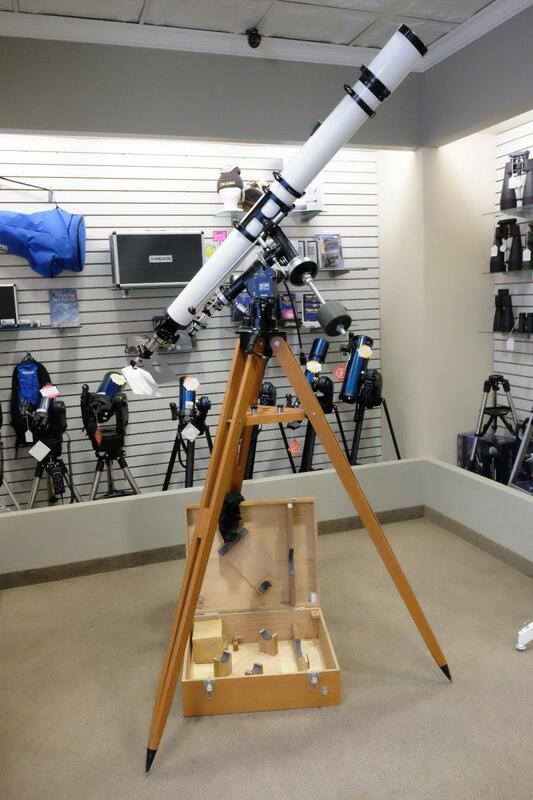 Attached is a photo of the scope it will go on as it was displayed in the store from which I bought it. What a great group CloudyNights!